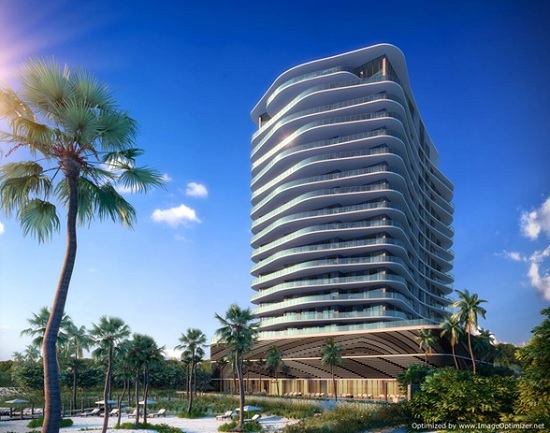 As the first new beachfront development in Pompano Beach in nearly a decade, Sabbia Beach will combine a spectacular location with luxurious amenities. It will be 19 stories tall and have extremely large condos with up to three bedrooms, a den and three bathrooms. Each floor will have only four to five units. In addition, Sabbia Beach will offer concierge services, valet parking and 24/7 security. 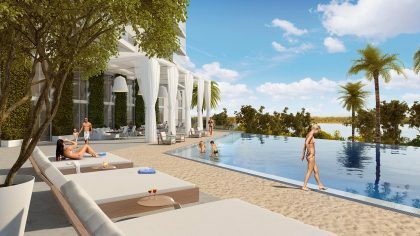 The individual condos will have floor-to-ceiling windows offering wide views of the ocean, city and Intracoastal Waterway. They’ll feature gourmet kitchens with chef’s island, custom-designed Italian cabinetry, stone countertops and high-end stainless steel appliances including Sub-Zero wine coolers. Pompano Beach is an uninterrupted three-mile strand of pristine Atlantic shoreline between the better-known communities of Fort Lauderdale and Palm Beach County. Beyond the area’s beautiful beaches, it offers the more refined pleasures in life, from upscale shopping and fine dining to entertainment and the arts. Pompano Beach has already been recognized in the national press as one of the country’s most promising emerging real estate markets. 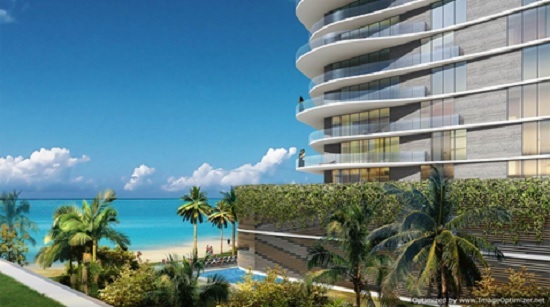 Sabbia Beach will have a total of only 68 spacious residences, including two- and-three bedroom floor plans, three unique penthouse suites and four lanai residences boasting up to 3,700 sq. ft. of expansive outdoor living space. 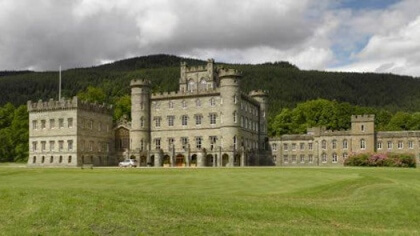 The property’s developer is Fernbrook Florida LLLP, a partnership of proven global real estate and development veterans who share almost a century of combined success across the Americas. The architect for Sabbia Beach is Arquitectonica, the world-class design firm founded in 1977 and with completed projects in 54 countries on five continents. Sister company Arquitectonica GEO will design the property’s contemporary landscaping. Interiors by Steven G., a firm that has handled most of the major condos in the South Florida market as well as many projects throughout the U.S., will be responsible for all aspects of interior design. Groundbreaking on Sabbia Beach took place June 2016. Construction should be complete by the 2nd quarter of 2018. Sabbia Beach presents an opportunity to own contemporary oceanfront property at a price considerably lower per square foot than is available just minutes to the south or north. 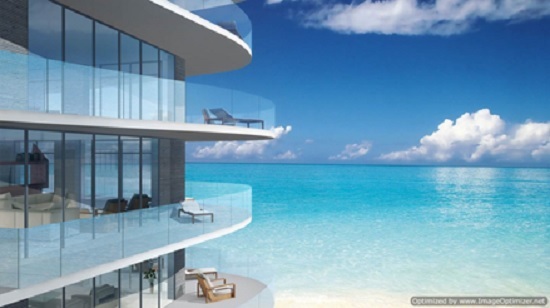 Typical Sabbia Beach condos range in size from 1,762 sq. ft. to 2,635 sq. ft. Prices range from $900,000 to $2,125,000. 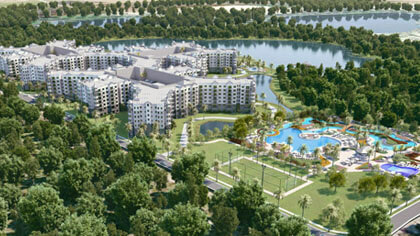 Larger units are available from 3,105 sq. ft. to just under 6,000 sq. ft, ranging from $2,975,000 to $5900,000. If you are interested in learning more about Sabbia Beach, please feel free to request our detailed data sheet. We will respond within 24 hours (usually much sooner). 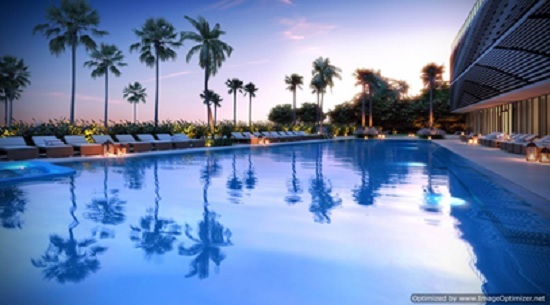 Contact Joel Greene at Joel@CondoHotelCenter.com or call (954) 450-1929.